Samuel Barrett Miles; Robin Bidwell (1997). The Countries and Tribes of the Persian Gulf. Garnet & Ithaca Press. आइएसबिएन 9781873938560. http://www.google.com/books?id=dbsOoPpZiSEC. Ghazanfar, Shahina A.; Martin Fisher (1998). Vegetation of the Arabian Peninsula. स्प्रिंगर. आइएसबिएन 9780792350156. http://books.google.com/books?id=OPniyjxTu-UC&printsec=frontcover. Salm, Rodney V.; Rolf A.C. Jensen, Vassili Papastavrou (1993). Marine Fauna of Oman. IUCN. आइएसबिएन 9782831701806. http://books.google.com/books?id=OPniyjxTu-UC&printsec=frontcover. John Hailman (2006). Thomas Jefferson on Wine. Univ. Press of Mississippi. आइएसबिएन 9781578068418. http://www.google.com/books?id=dbsOoPpZiSEC. Phillips, Wendell (1966). Unknown Oman. D. McKay Co.. pp. 4. Room, Adrian (2003). Placenames of the World: Origins and Meanings of the Names for Over 5000 Natural Features, Countries, Capitals, Territories, Cities and Historic Sites. McFarland. आइएसबिएन 9780786418145. http://books.google.com/books?id=PzIer-wYbnQC&pg=PA246&lr=&sig=ACfU3U1GFMyeR080NhyZz9ZIDLyFBEOs5g. Barth, Hans-Jörg; Benno Böer (2002). Sabkha Ecosystems: The Arabian Peninsula and Adjacent Countries. स्प्रिंगर. आइएसबिएन 9781402005046. http://books.google.com/books?hl=en&lr=&id=O7fIy_Rwgc8C&oi=fnd&pg=PA99&ots=mOJ53Q7HVx&sig=VSysUNsUcQhtTFXmYDPlO8sfQMs#PPA292,M1. Kechichian, Joseph A. (1995). Oman and the World: The Emergence of an Independent Foreign Policy. Great Britain: RAND Corporation. आइएसबिएन 9780833023322. http://books.google.com/books?id=SIns4vhNgRkC&printsec=frontcover&as_brr=3#PPR7,M1. Fahlbusch, Erwin; Geoffrey William Bromiley, David B. Barrett (1999). The Encyclopedia of Christianity. Wm. B. Eerdmans Publishing. आइएसबिएन 9780802824158. http://books.google.com/books?id=7ly4DgtT3LkC&pg=PA829&lr=&as_brr=3&sig=ACfU3U3MsXd8potHt9uqiznf_2P32r8-Mw#PPA829,M1. Rice, Michael (1994). The Archeology of the Arabian Gulf. Routledge. आइएसबिएन 9780415032681. http://books.google.com/books?id=kWRfe7AdVaYC. Potter, Lawrence; Sick, Gary (2002). Security in the Persian Gulf. Macmillan. आइएसबिएन 9780312239503. http://www.google.com/books?id=nYphS6AV8OwC. Peterson, JE (2002). 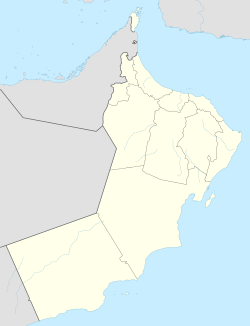 "Oman" (PDF). http://www.jepeterson.net/sitebuildercontent/sitebuilderfiles/Oman_Encyclopedia_Britannica.pdf. अन्तिम पहुँच तिथि: 2008-09-21. Long, David E.; Reich, Bernard; Gasiorowski, Mark (2007). The Government and Politics of the Middle East and North Africa. Westview Press. आइएसबिएन 9780813343617. http://books.google.com/books?id=LpGGbueEuXsC.